John began work in 1969 as a personnel assistant responsible for hiring and supporting people with disabilities for a large restaurant company in New York City. In New York he continued his career working at Fountain House Club House, and then as a chief evaluator for Goodwill. 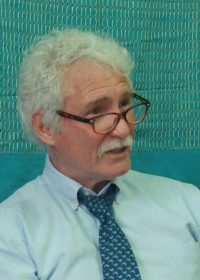 In 1979, he moved to Maine accepting a position as a vocational rehabilitation counselor, and worked for the Bureau of Rehabilitation in several capacities over many years until his appointment as the Executive Director of the Baxter Compensation Authority. He is a graduate of New York University for his undergraduate and graduate degrees in rehabilitation. John lives in Newcastle with his wife Kathleen where he writes, juggles and practices magic in preparation for entertaining his grandchildren.